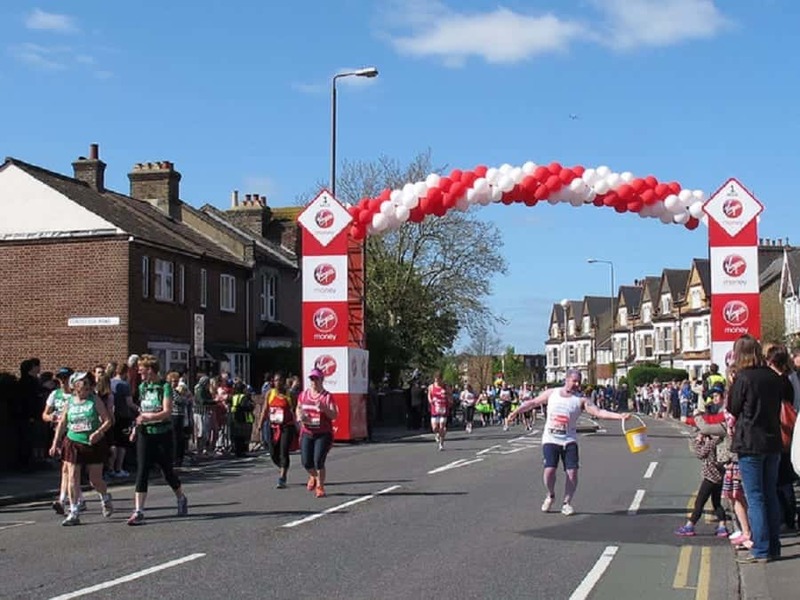 Yesterday (Sunday 24 April 2016) was the 36th London Marathon. 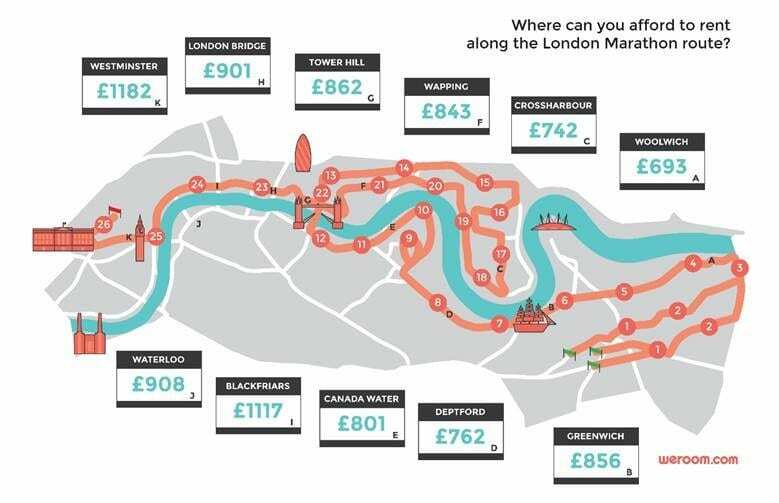 The 26.2-mile route had runners weaving through some of London’s famous landmark’s. Flatsharing website Weroom.com reveal the average cost of a room along the route, starting from Woolwich in the east to Westminster in the west of the Capital. With only ten miles between the start and finishing point, Woolwich offers the cheapest rent prices at £693 a month, compared to Westminster with average prices of £1182 – a difference of £489. See below for the average cost to rent a room at different locations along the route.